+many subsections of above chapters, Troubleshooting, Detailed Diagrams, illustrations, photos, exploded views and step-by-step Instructions Diagnostics and similar topics. 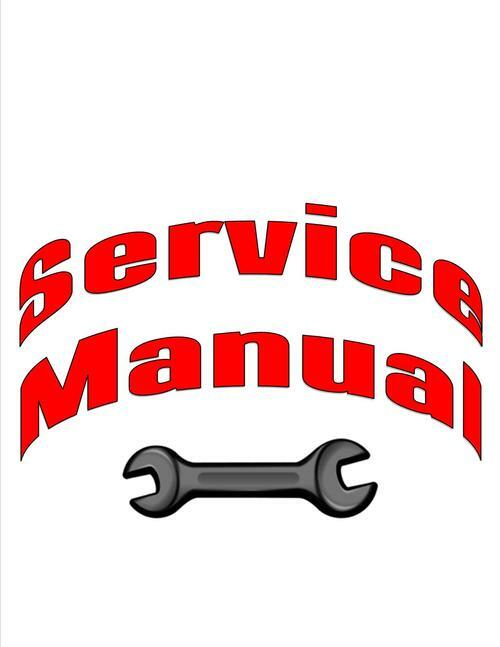 This high resolution manual has an easy to use clickable menu and is keyword searchable and fully printable, Easily browse the manual via bookmarks, zoom in/out of specific pages you can print one page to bring out in your garage and toss out when you are through, or you could print one chapter, or the whole thing. Most of my customers just print & put it is a 3-ring binder, if you get a page greasy, just print a new one. NO waiting, Instant Download, All pages are printable, saving you money on postage and packaging. Great item for the do-it-yourself mechanic to save dealer labor costs, or just nice to have on hand. Why spend $70+ per hour labor at your local dealer, most maintenance is easier than you think. ----buy now. This file is sold by 1goodmanual, an independent seller on Tradebit.